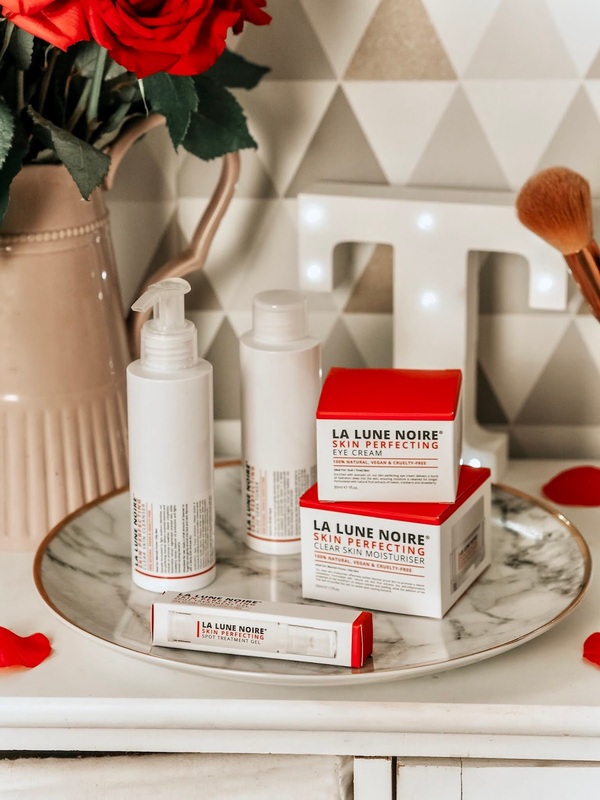 Over a year ago now, I wrote a post on my first impressions of the La Lune Noire Teeth Whitening products. 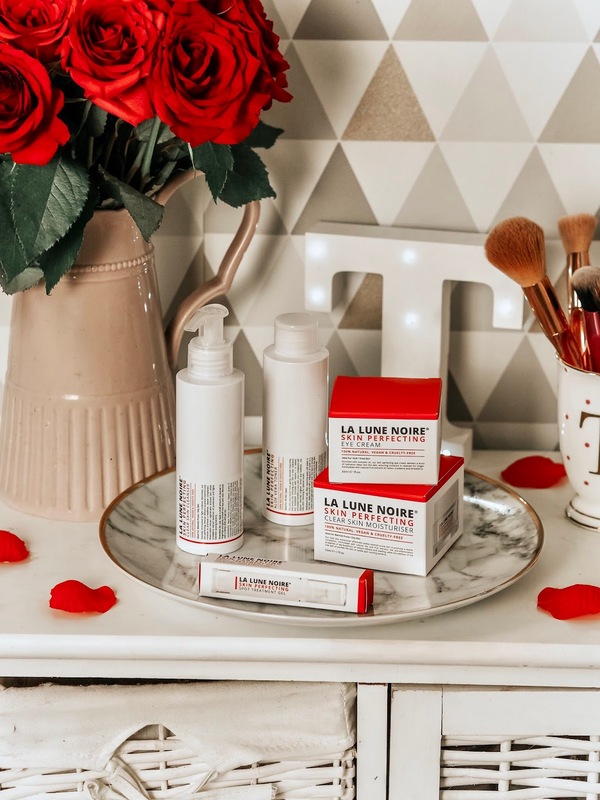 Since then, the brand has had a revamp and now has it's own skincare line with four different ranges! I've you don't know much about the brand, they are a Vegan and Cruelty Free brand, which create 100% natural products! First of all, I really love their new packaging and designs! Having each range represented by a different colour is a fantastic idea, and visually makes their products easily recognised. The four ranges reflect four different skin needs; Skin Perfecting, Hydro Boosting, Age-Defying, and Soothe & Protect. 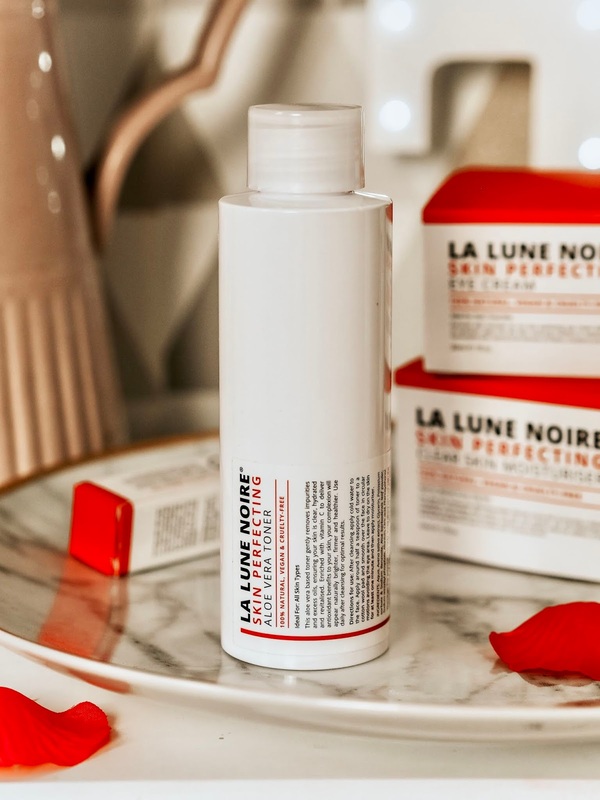 The products I've been using are from the Skin Perfecting range, which are represented by the red packaging. This moisturiser is ideal for those of us with either Oily or Blemish Prone skin. 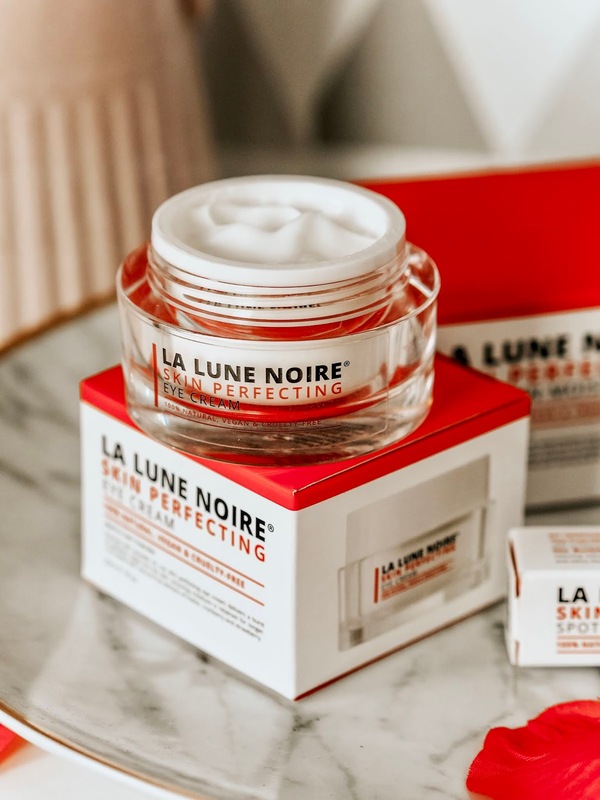 It contains natural ingredients such as Sea Buckthorn which has inflammatory properties to reduce swelling and redness, and Tea Tree Leaf Oil to tackle any bacteria and purify the skin. 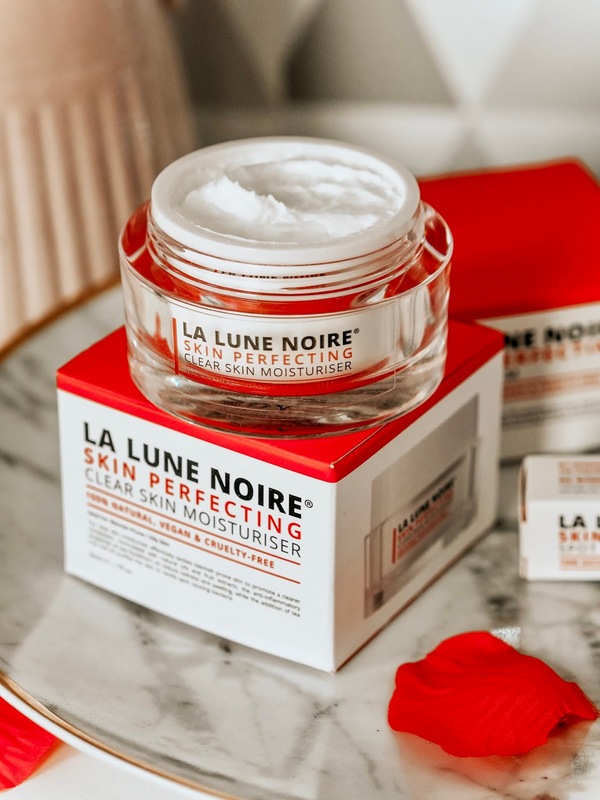 Upon opening, it does look like it would be a pretty thick consistency and formula, but once applied and blended into the skin it's actually really soft and light! For an everyday moisturiser this is key for me as I'm looking for something that's going to soak in quickly and not leave my skin feeling tacky for ages. It also smells so dreamy with such a fresh and clean scent! 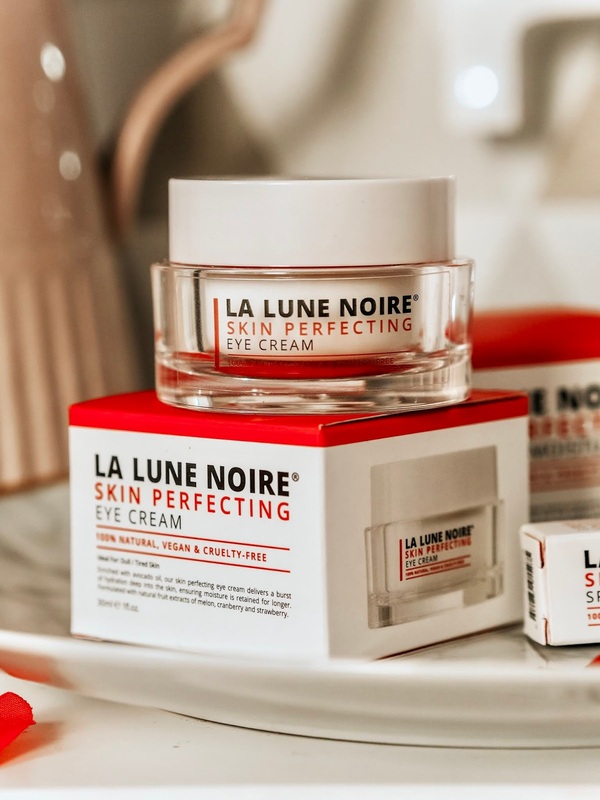 I can't tell you how long I've been searching for the perfect eye cream! This particular one is ideal for brightening up dull, or tired looking skin. Again, this contains some fantastic ingredients such as Avocado Oil, and natural fruit extracts of melon, strawberry and cranberry. I was very excited to try this when I saw the word Avocado as it's extremely good at hydrating and smoothing skin to give it all the nutrition it needs! In terms of formula this is much thinner than the moisturiser, and a has a slightly more 'greasy' feel to it, but still soaks in very quickly. That lovely fresh scent from the moisturiser is still there, but is a LOT more toned down, which is great for a product that will be applied near your eyes as it avoids irritation. Next up is their Aloe Vera Toner which is great for all skin types! 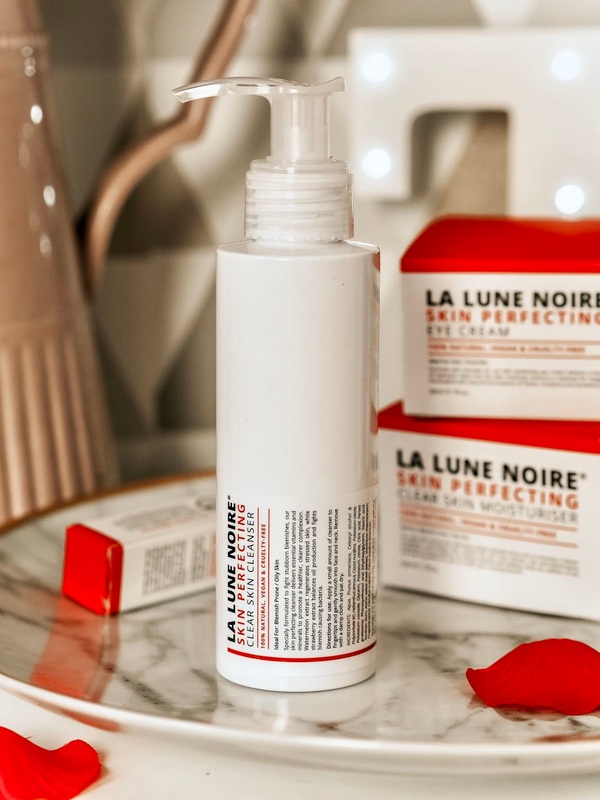 The toner is infused with Orange Essential Oil, meaning it's rich in Vitamin C. If you follow me on Twitter, you'll know how much I rave about Vitamin C and how fantastic it is for your skin! 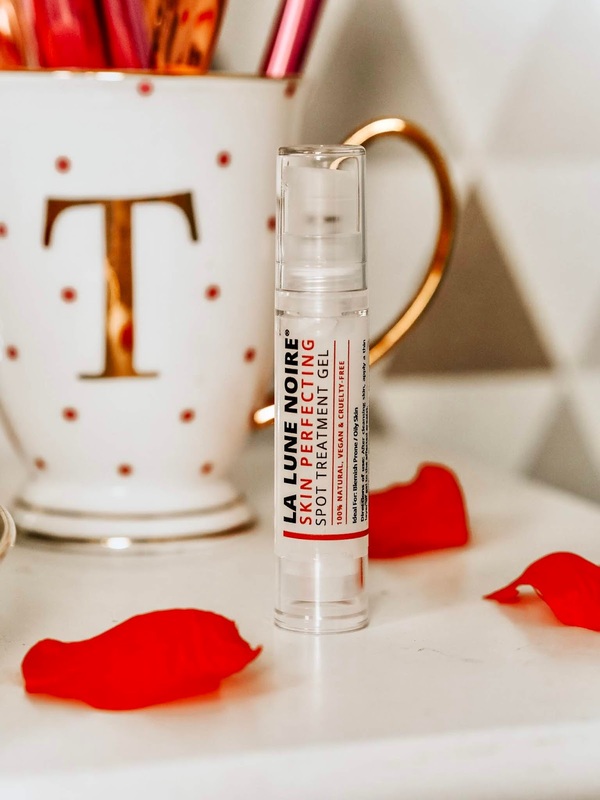 Not only does it brighten up your complexion, but it reduces the appearance of fine lines and wrinkles, AND is a powerful anti oxidant, meaning it will effectively remove excess oils and impurities. The addition of Aloe Vera also means your toner will even out your skin tone and reduce any redness or irritation your skin may have. Out of the whole range, this is definitely the products I'd recommend trying the most! Going back to anyone with blemish prone, or oily skin, you need to try out this cleanser! It's clear to see how much thought goes into these products, as this cleanser contains Strawberry extract, which balances oil production, so in turn prevents blemishes caused by excess oils. This cleanser is such a dream to use. My skin has never felt so clean! This, combined with the toner have left my complexion looking so much clearer and healthy looking. I can really see the effect most on those more stubborn blemishes which seem to be a pain to get rid of! It's really calmed them down and they look like they're nearing the end! If you do want to tackle those more tricky blemishes head on however, you can always try out their Spot Treatment Gel. Just like most spot treatments, you apply a thin layer of this directly to the effected areas. The thing I actually love most about this, is it's not really harsh. I've tried a lot of spot treatments, and some of them end up stinging my skin so bad I've ended up washing them off! For those with more sensitive skin, this treatment is far more gentle on your skin, preventing any further irritation, whilst still being effective. Just like the moisturiser, this product contains Sea Buckthorn so will reduce any redness, and soothe swellings and irritation. 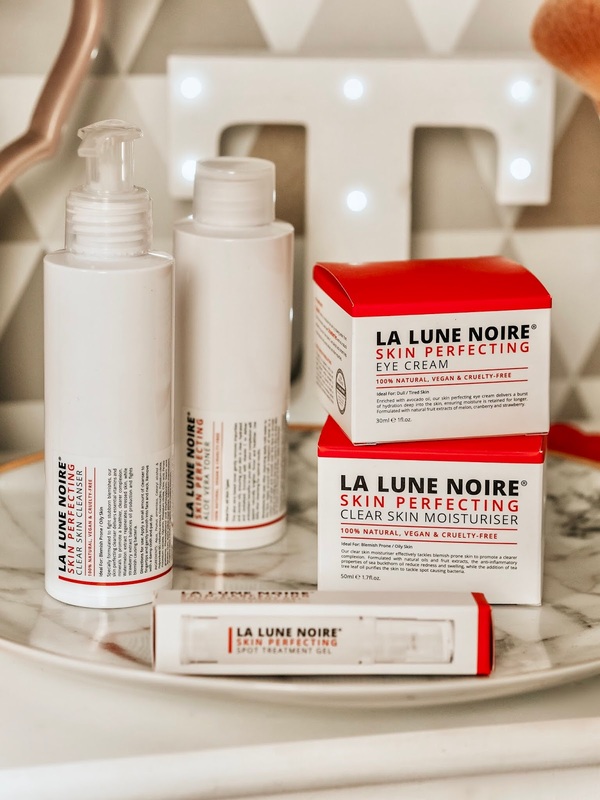 Which La Lune Noire skincare product would you most like to try? 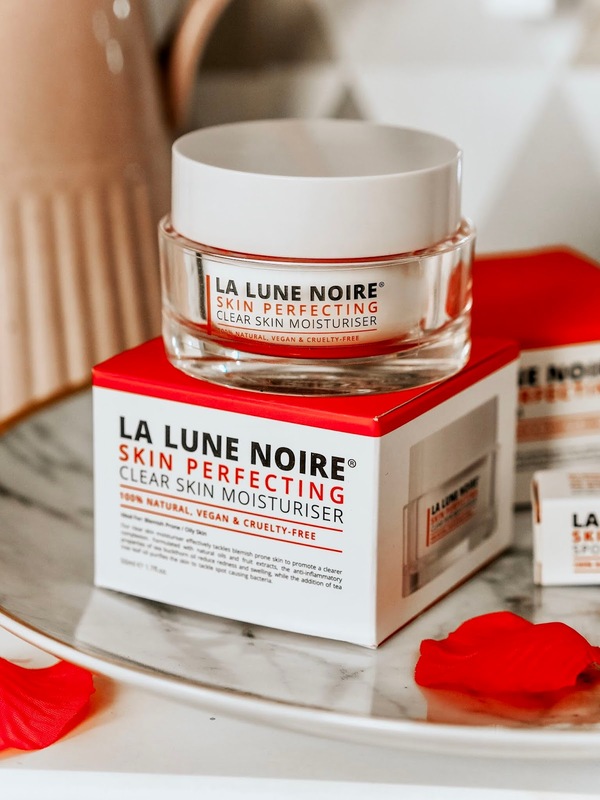 *This post is in collaboration with La Lune Noire. All words and opinions are my own. Ive never heard of this brand before but wow these products look and seem amazing! Im really interested in trying the toner as it sounds like its got all the perfect ingredients for someone with blemishes/pimples. I haven't heard of the brand before, but the texture of the moisturisers look so dreamy! Another new brand to try! The moisturiser sounds amazing! This range sounds pretty amazing, I love how the brand have colours to represent each category! Oooo I haven't seen this brand at all before but It looks really nice. The toner sound stunning! This is great. The packaging looks so luxurious and I love that they’re vegan and cruelty free! I never knew avocado was good for hydrating! would love to try this! Never heard of them before - love the packaging and they sound really good! I’ve never heard of this brand before but it sounds super cool and interesting! Intrigued to give it a try! Stunning pictures. They really sell the product. I suffer from oily skin so this should help me out! I'll take a look at getting one and trying it for myself. Great post! I’ve not heard of this brand but they sound lovely.